First we will assume you have connected your Brother label printer to your office wireless network, or you plan on using Bluetooth connection options. Teamgo supports the following Brother Label Printers. Teamgo recommends you use the Brother QL-820NWB printer. Ensure you have the correct printing labels, Teamgo only supports the Brother DK-11202 labels (as sold on our website and most IT stationary suppliers). Please consult our hardware guides on connecting a Brother printer to your office wireless network. This guide will show you how to connect your Brother printer to a Teamgo terminal using a wireless network. 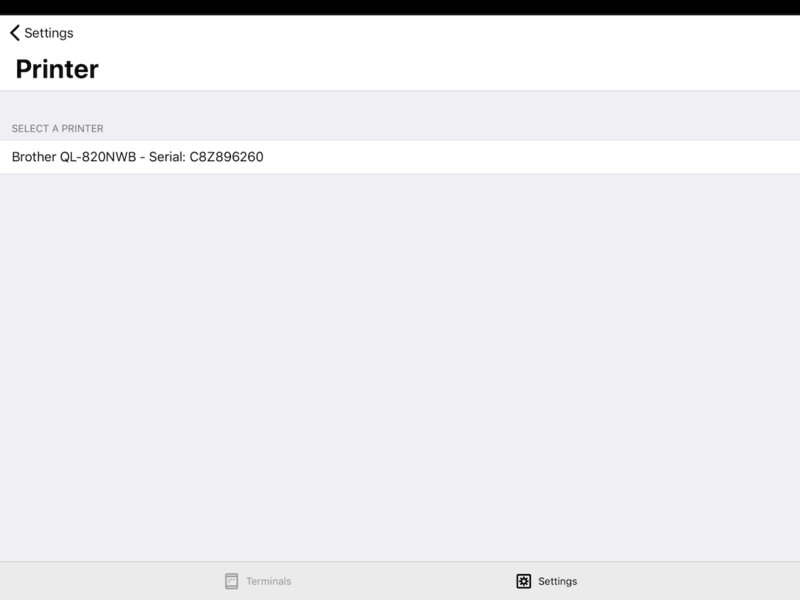 You will need to have your printer connected to the WiFi network and Teamgo iPad app installed. 1. 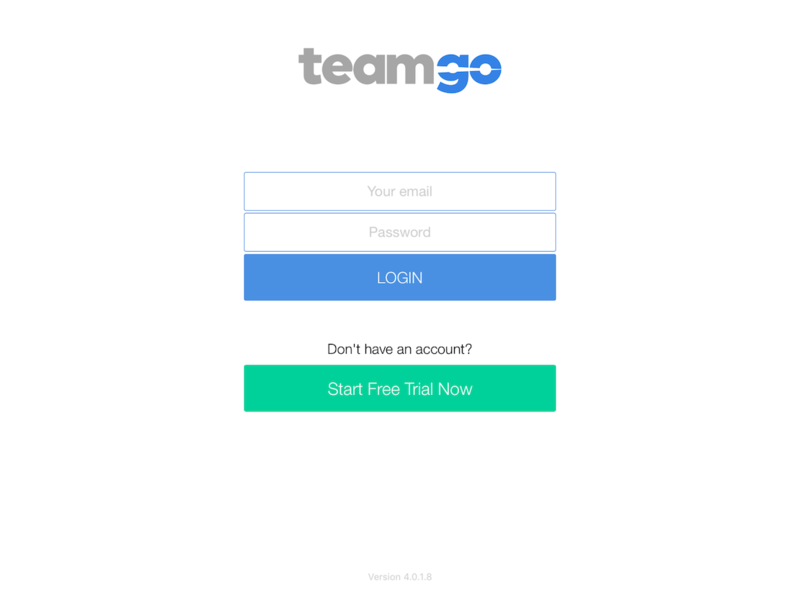 Launch the Teamgo App and login with your administrator username and password. 2. 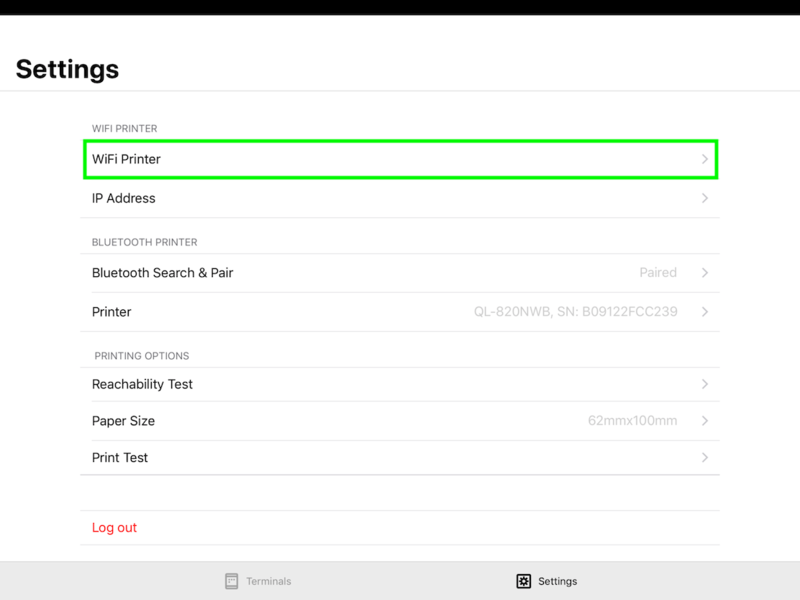 For WiFi printers select "WiFi Printer" menu options. If you use a STATIC/FIXED IP please add via the IP address method. Press and HOLD the IP ADDRESS field (below the WIFI Printer option) for 5 seconds to activate this and allow you to enter a fixed IP address or remove it. 3. The iPad will start searching for network connected printers, this may take a few moments so please wait. 4. 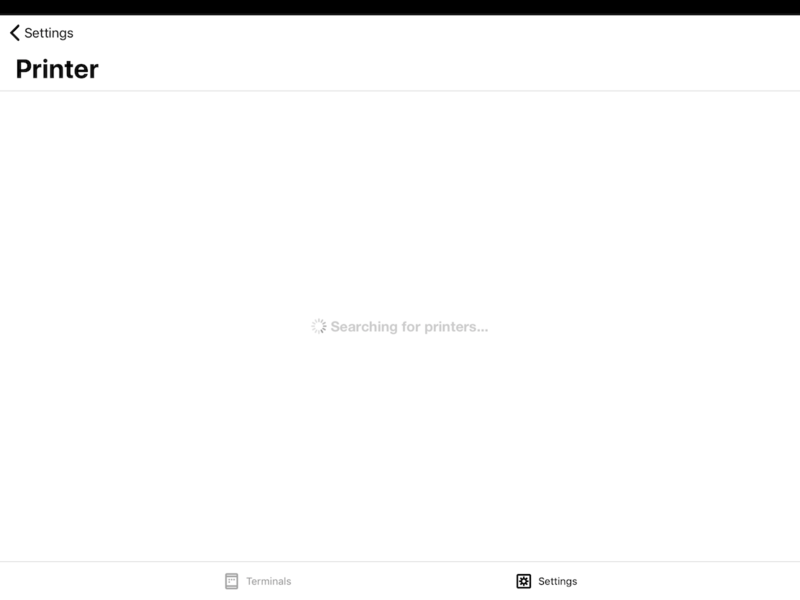 A list of available printers will be displayed, select the WiFi printer you wish to connect to. 5. 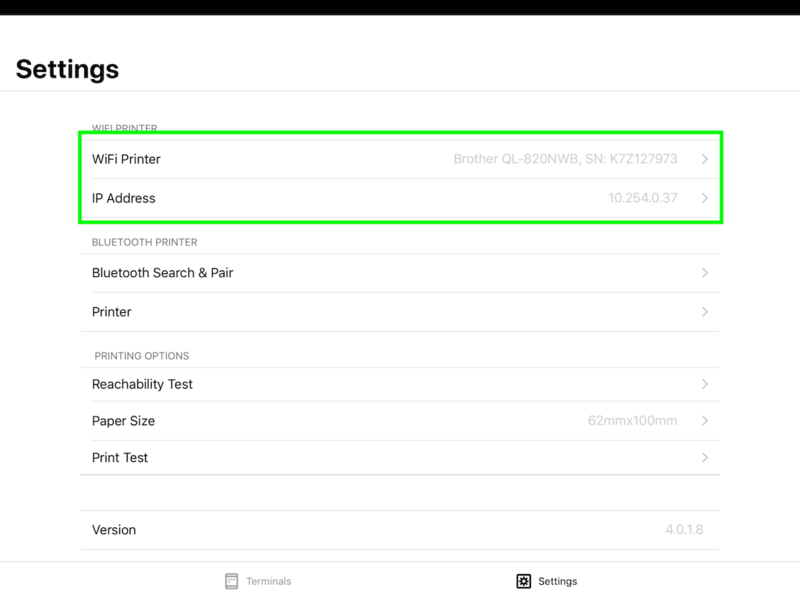 You will now see the printer selected at the top of the WiFi Printer options and the printers network IP address below this. 6. 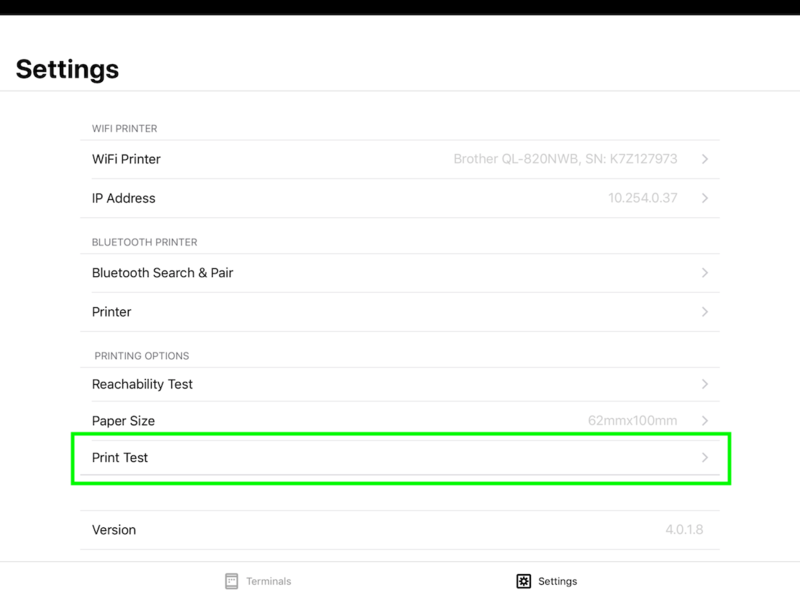 Run a Print Test, this will send a print test job from the Teamgo dashboard to the iPad and onto the printer if connected successfully. 7. Your printer is now connected and if this option is enabled in your Terminal Design feature, all sign-in will trigger a badge print. We recommend running a test sign in, choose a terminal to load and complete a test sign in to print a visitor badge. Note: to run a test sign in and print a badge you may need to enable badge printing in the Teamgo dashboard. Please refer to help article on how to enable badge printing for your iPad when visitors sign in.